S/N: O-831626. He was in the 98th Bomb Group 344th Bomb Sqdn. He was awarded the Air Medal. Graduated from Moody Field, Ga. S/N: O-828880. He flew B-24s in the 485th Bomb Group 830th Bomb Sqdn. based in Venosa Italy. He flew 15 missions and was forced to divert and crash land on his final mission due to a badly injured copilot and severe plane damage from flak. 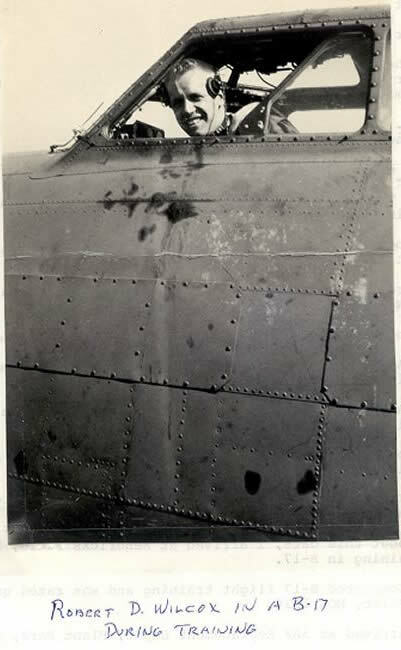 He himself was wounded in the neck and spine but managed to bring the plane down. See the book, The Complete Clarksburg Ohio World War II Guide. Walt Kuehner was his instructor at Douglas. Addicks became a bombardier, per Bombardier – A History (Volume 1) by Philip A. St.John. S/N: O-2072081. Graduated with the Class of 44-13 at San Angelo Field, TX on September 30, 1944. Graduated from Moody Field, Ga. S/N: O-828882. Died 13 October 1997 in Ala. He retired as a Major on Jan. 7, 1963. Flight Officer S/N: T-063022. He was in the 492nd Bomb Group 857th Bomb Sqdn. Norman Page may have been his instructor at Douglas. He had Basic at Cochran Field, Macon Ga, and graduated from Moody Field, Ga. He flew B-24’s. He was discharged in 1945 but went back in the Air Force in 1953 and made it a career, serving in Korea and VietNam. He was awarded the D.F.C. during the VietNam War. He retired as a Lieutenant Colonel in 1976. Of Lockport, NY, later of St. Petersburg, FL. He was in the 414th Fighter Group 413th Fighter Sqdn flying P-47s. 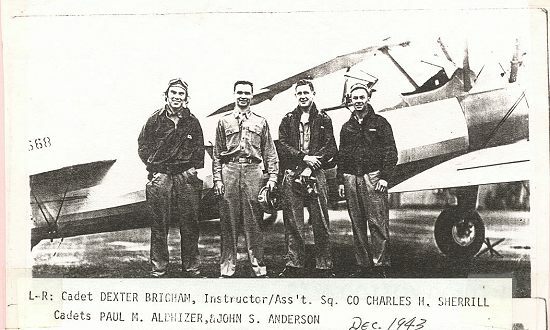 Charles Sherrill was his Instructor. He graduated from Moody Fld, Ga. S/N: O-828885. Went to Sebring to check out on B-17s. Then to the 15th A.F. 463rd Bomb Group, 775th Bomb Sqdn in Italy where on Jan. 15, 1945 his plane ran low on gas (MACR #11396) and lost 3 engines. The crew had to bail out. He was captured and a POW until Patton’s 3rd Army liberated him. He was held in Stalag XIIIID and VIIA. He had a 22 year career in the A.F. flying 7,200 hours. He flew 32 types of aircraft including B-36 and T-33 while instructing a class at West Point in 1946. Of St. Petersburg Beach, Fla. Graduated from Moody Field, S/N: O-828886. He was in the 097th Bomb Group 341st Bomb Sqdn. On Dec. 28, 1944 he was co-pilot on a B-17G (S/N: 42-107106) on a mission to Ragansburg, Germany. His plane developed engine trouble. He was a POW in Luft-Stalag #1 located near Barth, Germany (Dulag Luft West) (MACR #10876). S/N: O-828261. He was in the 373th Fighter Group 411th Fighter Sqdn. On Mar. 28, 1945, he was flying a P-47D (S/N: 42-28289) in close ground support in the Wesel-Dorsten area of Germany. His plane was hit by flak. The plane did a two turn spin and then burst into flames. Allan bailed out (MACR #13525). He was wounded and became a P.O.W. in Stalag VIa. Overall he flew 42 missions and 55 sorties, with one victory. He obtained an M.D. in 1951. He stayed in the Reserves and retired as a Major. He was awarded the Purple Heart, Air Medal with 5 oak leaf clusters, and the D.F.C. (see http://www.ww2awards.com/person/48482). Born Jul. 14, 1924, Newark, NJ. S/N: O-828888. He was in the 492nd Bomb Group 406th Night Leaflet Sqdn. Ed Dial was his instructor at Douglas. John graduated from Moody Field, Ga. S/N: O-828889. He flew B-17’s for 28 missions in the 401st Bomb Group 612th Bomb Sqdn over Germany. After the War he became the South Beloit High School principal and then superintendent, a position he held for 22 years. Born: Aug. 21, 1921 in Kenosha, WI. He graduated from Moody Field, Ga. S/N: O-828890. He served in the 8th A.F., 487th Bomb Grp., 839th Bomb Sqdn in England. On Apr. 10, 1945, he was pilot on a B-17G (S/N: 43-37987 "Mean Widdle Kid") with a crew of 10 flying a mission to Brandenburg, Germany. It was his 36th mission. His ship was hit by flak and then circled out of the formation to the left, passed over the formation and then began to lose altitude. #2 engine was windmilling. It leveled off, with no signs of fire. An observer reported seeing the left wing break off and an explosion causing the aircraft to lose control. Althouse later reported he was blown out of the plane. He suffered facial burns (MACR #13883). He was recovered after 21 days by his own men. He was released in 1947. He stayed in the Reserve until he retired as a Lt. Col.
Charles Sherrill was his instructor at Douglas. Basic was at Cochran Fld, Macon, Ga. Graduated from Advanced at Moody Fld, Valdosta, Ga. Transitioned into B-17’s at Sebring, Fl. S/N: O-828366. He was in the 368th Fighter Group 395th Fighter Sqdn. On Apr. 16, 1945 he was flying a P-47D (S/N: 42-76576) on a mission near Lauf, Germany. After a number of strafing passes, his propellor went out. He was ready to bail out but his squadron leader helped him find a road near Nurnberg. Anderson belly landed and was picked up by the 45th Infantry Division (MACR #14205). He was in the 353rd Fighter Group 352nd Fighter Sqdn. Anderson was nicknamed "Moose" as he was the tallest pilot in the squadron, and he flew a P-51D (S/N: 44-72694) named "Meandering Moose." S/N: O-828893. He was a B-17 pilot in the 463rd Bomb Group 774th Bomb Sqdn. flying from Italy with the 15th Air Force. He graduated from Napier Field, AL. S/N: O-830380. He was a navigator in the 398th Bomb Group 601st Bomb Sqdn. He was missing in action for a time but returned to duty. See Hertfordshire Archives (a PDF) for info on correspondence from Arbuthnot. Click here for a picture of his B-17. He graduated from Napier Fld, Ala. as a F.O.T . He flew P-47 Thunderbolts. He went overseas just as the war ended and spent 3 months in Germany. Then two years in the reserve. He graduated with the Class of 44E from Napier Field, AL. S/N: O-832549. He was at Millville Army Air Field to learn to fly the P-47 and at the Richmond AAB Combat Crew Training Station. He was flying a P-47C (S/N: 41-6495) at Richmond when he was in a mid-air collision. 2nd Lt., later became Lt. Col. Probably born 14 October 1924, and died 06 April 2000. He graduated from Napier Field, AL. S/N: O-830390. He graduated from Napier Field, AL. S/N: O-830393. He was in 9th AF 031st Air Transport Group 326th Ferrying Sqdn. On 13th February 1945 he had a crash/belly landing accident in France in a P-51D. S/N: O-2068936. He became a radar operator / navigator with 330th Bomb Group 458th Bomb Sqdn (VHB) and flew his missions from the North Field on Guam in the Central Pacific. Bill Dillard was his instructor at Douglas. He was a roommate of Paul Boyer. He had Basic at Macon, GA and graduated from Napier Field, AL as F.O. He served in England with the 8th A.F. 357th Fighter Group 362nd Fighter Sqdn flying 53 missions in a P-51. He was also in Germany during the Occupation. Of CO, then Venice, FL. Click here to see a model of his plane. S/N: O-828295. He was in the 351st Bomb Group 509th Bomb Sqdn. Click here for a list of his missions. He graduated from the Class of 44-08 (June 10, 1944) at the navigator school based at Selman Field located near Monroe, Louisana. He was a navigator in the 497th Bomb Group per a 2000 reprint of the book, 73rd Bomb Wing. Died Dec. 25 or 26, 1945. A marker is in Florence American Cemetery and Memorial, Italy. He was in the 362nd Fighter Group 379th Fighter Sqdn flying P-47Ds. He had an accident in Straubing Germany in May 1945. Click here for a crew picture. Charles Sherrill was his instructor at Douglas. He served in Burma and India, flying C-46’s over the ‘Hump’. He was a P-47 fighter pilot assigned to the 48th Fighter Group flying his combat missions with the 9th Air Force. He graduated from Columbus Field, MS. S/N: O-829154. He was assigned May 7, 1945 to the 461st Bomb Group 765th Bomb Sqdn and was also in the 450th Bomb Group 721st Bomb Sqdn. He graduated with the Class of 44E from Columbus Field, MS. S/N: O-831653. He was assigned to fly B-25s with the 38th Bomb Group 405th Bomb Sqdn on his missions in the Western Pacific. He graduated from Napier Field, AL. S/N: O-830400. Later he flew with the 4th Fighter Group, 335th Fighter Squadron with the Eighth Air Force under the leadership of the former “Eagle Squadron” pilots. He had 86 combat hours. He graduated with the navigator class of 44-10 at Selman Field, LA on July 24, 1944. He became a navigator in the 100th Bomb Group 350th Bomb Sqdn. known as “The Bloody Hundredth” during its flying with the Eighth Air Force. He was assigned to fly B-24s with the 456th Bomb Group 747th Bomb Sqdn for his missions with the Fifteenth Air Force, while based near Stornara, Italy. P-51s with the Eighth Air Force. He then flew with the 339th Fighter Group 503rd Fighter Sqdn. 2nd Lt. He was given a commission on April 16, 1945 and issued S/N: O-2015122. Ben Epps was his instructor at Douglas. He graduated from Napier, AL. S/N: O-830415. He served in the 8th A.F., 4th Fighter Group 335th Fighter Sqdn HQ and the 48th Fighter Grp. in England. He was returned to the U.S. before flying any missions. He stayed in the military and served in the Korean War. Click here for his picture and record. From NJ, then later Las Vegas, NV. He graduated from Napier Field, AL. S/N: O-830428. He was assigned to the 73rd Base Hdqts. at Napier. Later he was a Co-Pilot on B-24’s with the 15th AF., 455th Bomb Group, 741st Bomb Sqdn. He lost his crew on the only day that he was not with them. He was a navigator in B-17s in the 2ndBomb Group 096th Bomb Sqdn. On Mar. 15, 1945 he was wounded in action. Click here for his crew picture. Graduated May 23, 1944 in the class of 44-E from Freeman Army Air Field, Seymour, Indiana. He was a pilot/co-pilot in the 63rd Squadron of the 43rd Bomb Group in 1945. Graduated May 23, 1944 in the class of 44-E from Freeman Army Air Field, Seymour, Indiana. He was a pilot in the 716th Squadron of the 449th Bomb Group assigned to the Fifteenth Air Force flying from their base near Grottaglie, Italy. Evernden, John G. or C.
Flight officer S/N: T-133945. He was a navigator in the 325BU at Avon Park AAFd Gunnery School. On Oct. 29, 1944 he was killed in a flying accident in a B-17G (S/N: 42-102835) 3 mi NW of Avon Park AAF, FL. S/N: O-829130. He retired from the USAF reserve August 1960 at the rank of Major. He was a navigator in the 716th Squadron of the 449th Bomb Group assigned to the Fifteenth Air Force flying from their base near Grottaglie, Italy. S/N: O-2001249. 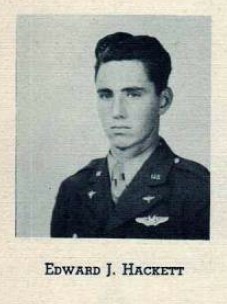 He graduated with the Class of 44-8 at Selman Field, LA on June 10, 1944. He graduated from Napier Field, AL. S/N: O-830441. Graduated May 23, 1944 in the class of 44-E from Freeman Army Air Field, Seymour, Indiana. Graduated May 23, 1944 in the class of 44-E from Freeman Army Air Field, Seymour, Indiana as a Flight Officer. He was in the 486th Bomb Group 833rd Bomb Sqdn flying missions in B-24s from England with the Eighth Air Force. He graduated from Columbus Field, MS. S/N: O-829193. He was in the 492nd Bomb Group, 856th Bomb Sqdn flying missions in B-24s from England with the Eighth Air Force. Click here for crew information. He became a navigator, with Flight Officer S/N: T-128445. He was in the 454th Bomb Group 736th Bomb Sqdn. He was awarded the Air Medal. He graduated from Columbus Field, MS, S/N: O-829194. He was in the 376th Bomb Group 514th Bomb Sqdn and flew B-24J (S/N: 42-51635) in which he had a forced landing out of gas incident at San Pancrazio, Italy. He graduated from Columbus Field, MS, S/N: O-928416. He was in the 493rd Bomb Group. 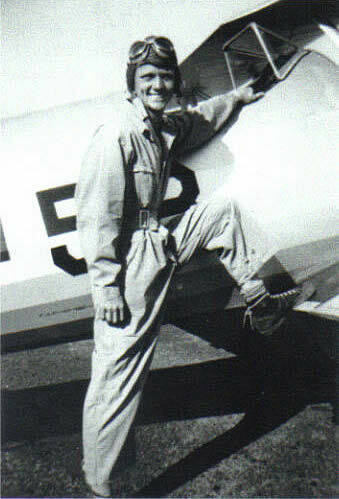 From http://forum.armyairforces.com: Lee Gast flew B-24’s and B-17’s and was a "real sharp pilot". The name of the B-17 was "Heinie’s Headache". S/N: O-829195. He was in the 98th Bomb Group 344th Bomb Sqdn. On Mar. 8, 1945 he was the pilot of a B-24J (S/N: 44-10559 K) with a crew of 11 on a mission to Komaron, Hungary from Lecce, Italy. His plane had a mid-air collision and crashed into the Adriatic Sea. There were no survivors (MACR #12825). He is listed on the Tablets of the Missing at Florence American Cemetery, Florence, Italy. Awards: Air Medal, Purple Heart. S/N: O-831694. He was assigned to the Chatham (GA) AAFd Combat Crew Training Station-B and on Dec. 16, 1944 was killed in a flying accident in a B-24J (S/N: 42-50946) 70M NE Daytona Beach, FL. Flight officer S/N: T-062920. Casper (WY) AAFd Combat Crew Training Station-B. On Sept 24, 1944 he was killed in a flying accident in a B-24J. He became a navigator, S/N:O-2057904, in the 465th Bomb Group 782nd Bomb Sqdn. On Oct. 11, 1944 his plane was hit by flak during "bombs away" on a diesel plant at Vienna Austria, and he was killed (MACR #09137). Awards: Air Medal, Purple Heart. S/N: O-832134. He was in the 301st Bomb Group 353rd Bomb Sqdn. On April 11, 1945 he was pilot of a B-17G (S/N: 44-6253) with a crew of 10 on a mission to Vipiteno Railroad Bridge, Italy. His plane was hit by flak, and all bailed out near Morbegno, Italy, and, except for one, were guided to Switzerland over the Alps by partisans (MACR #13978). Crew evaded capture and was interned in Switzerland, eventually returning to USA. He was a bombardier with the 447th Bomb Group flying his missions aboard B-17s from Rattlesden Airdrome located in Suffolk, England. He is also mentioned in book, Bombardier – A History (Volume 1). 2nd Lt. He graduated from Columbus Field, MS. S/N: O-829199. He was in the 448th Bomb Group 715th Bomb Sqdn flying B-24’s in England. He had Basic at Macon, GA and graduated from Columbus, MS. S/N: O-829200. He was checked out on B-24s. Next he was into combat photo missions. B. Aug. 20, 1923 Bronx, NY. D: Mar. 8, 2008 Ft.Worth, TX. He graduated single eng. from Columbus, MS S/N: O-829202. He flew P-38’s in in the 1st Fighter Group 027th Fighter Sqdn in Italy for 50 missions. After the war he stayed in the reserve and made Capt. He was awarded the Air Medal with 3 oak leaf clusters. Of CT and Brookline, MA. S/N: O-829203. He was in the 12th AF 057th Bomb Wing. He flew B-25’s, flying 70 missions in the European theatre. He earned the Distinguished Flying Cross, Presidential Group Citation and eight Air Metals. He graduated from Napier Field, AL. S/N: O-830458, Was assigned to the Basic school at Greenwood, Miss. Born Mar. 6, 1924 Middletown, Conn. He had Basic at Greenwood, MS and graduated from Napier, AL. S/N: O-830460. He served with the 8th A.F., 4th Fighter Grp., 335 sqdn. in England. He was released in 1946, then spent 10 years in the Reserve. Nettuno, Italy. Air Medal, Purple Heart. He graduated from Columbus Field, MS. S/N: O-829208. He was in the 492nd Bomb Group 856th Bomb Sqdn. Seymour, Indiana in the class of 44-E, S/N: O-828554. He was at Tyndall Field Gunnery School and then in the 301st Bomb Group 353rd Bomb Sqdn. assigned to the Fifteenth Air Force flying from their B-17s from a base near Lucera, Italy. He was awarded the Air Medal with oak leaf cluster. Graduated from Columbus, MS. S/N: O-829212. He was in the 467th Bomb Group 789th Bomb Sqdn flying missions in B-24s from England with the Eighth Air Force. Of IA then Ashville, N.C. He became a navigator S/N: O-2057925. On Oct. 11, 1944, he was navigator on a mission to Vienna Austria. After the bomb run, the plane took evasive action to avoid flak but was hit, with no. 2 engine running away. Eventually the pilot got the plane under control. In the process it had dropped back from the rest of the formation. Hyman and the bombardier must have thought the order to bail out had been given and bailed out. Hyman was picked up as a P.O.W. and was in Stalag Luft 3 Sagan-Silesia Bavaria (Moved to Nuremberg-Langwasser) (MACR #9057). S/N: O-828215. 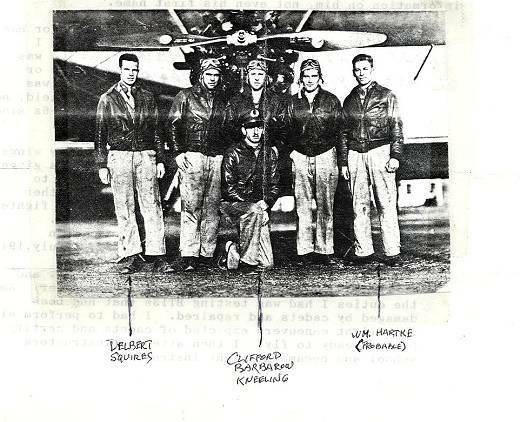 He was in the 90th Bomb Group 320th Bomb Sqdn after training at the Walla Walla AAFd Combat Crew Training Station. He is described here as being the first pilot after the War to fly a C-46 to Czechoslovakia as part of a sale to Israel. C.H. McLendon was his instructor at Douglas. He graduated from Turner Field and flew B-25’s. He became a navigator, S/N: O-1998978? He was in the 483rd Bomb Group 816th Bomb Sqdn. He graduated with the Class of 44E from Columbus Field, MS. S/N: O-831729. He was assigned with the 493rd Bomb Group 861st Bomb Sqdn. Bill Toy was his Instructor. He graduated in twin engines and was a co-pilot assigned to the 445th Bomb Group 701st Bomb Squadron based near Norwich, England. He flew 24 missions in a B-24. He also served in the Korean War. Died Oct. 18, 2001 Age 79. He became a bombardier S/N: O-2001355 and Flight Officer T-005414. He was in the 450th Bomb Group 720th Bomb Sqdn. On Dec. 25, 1944 he was bombardier in a B-24J (S/N: 44-41041) on a mission to the marshaling yards at Innsbruck, Austria. Over the target the plane took a direct hit of flak near the pilot’s compartment. The plane turned over and went into a deep dive. At about 5,000 feet the wings fell off. Three of the crew managed to bail out, but Koluch was killed (MACR #10744). He became a bombardier. He was in the 494th Bomb Group 864th Bomb Sqdn in B-24s in the Western Pacific arena, accumulating thirty-five missions, and survived "ditching" his airplane into the ocean after a bombing mission. Died Feb. 7, 2012 Oklahoma City, OK. He became a navigator, S/N: O-2057964. He was in the 460th Bomb Group 760th Bomb Sqdn. On Sept. 23, 1944 he was navigator in a B-24J (S/N: 42-50888) on a mission to Munich, Germany. His plane was hit by flak over the target, and no. 3 engine was on fire. The entire crew bailed out and he became a P.O.W. in Stalag Luft 1 near Barth, Germany (MACR #08739). After reading and enjoying literature in the prison camp, he obtained his doctorate and became a professor of English and creative writing at San Francisco State. Born Nov. 12, 1921 in Boston. Clyde Climer was his instructor at Douglas. He graduated from Columbus, MS. He was in the 390th Bomb Group 569th Bomb Sqdn, per The Story of the 390th Bombardment Group. Walt Kuehner was his Instructor at Douglas. Graduated at Napier, AL. S/N: O-1996071. He was in the 322nd Bomb Group 451st Bomb Sqdn. On Mar. 18, 1945 he was copilot on a B-26 on a mission to Germany. After take-off, when the planes were assembling into formation, one plane hit the lead ship, causing both to explode. The explosion knocked a third ship out of the air. There was only one survivor from all three ships. Moffitt was killed. Graduated from Columbus, MS. S/N: O-829278. He was in the 99th Bomb Group 346th Bomb Sqdn flying missions in B-17s from Italy with the Fifteenth Air Force. S/N: O-829279. He was in the 491st Bomb Group 854th Bomb Sqdn. On Dec. 11, 1944 he was pilot of a B-24H (S/N: 41-28820) with a crew of 9 on a mission to the Frankfurt area. The weather conditions were extremely adverse, and only 6 out of 43 ships managed to get into formation. Most returned to base. Myers’ ship did not return and his entire crew perished (MACR #11336). He became a navigator, S/N: O-2060343. He was in the 483rd Bomb Group. On Nov. 15, 1944 he was navigator on a radar-equipped B-17G (42-97568) on a mission to Linz, Austria. The plane experienced difficulty and the crew bailed out. He was a P.O.W. in Stalag Luft 7A near Nurenburg, Germany (at Moosburg Bavaria 48-12: Work Camps 3324-46 Krumbachstrasse 48011, Work Camp 3368 Munich 48-11) (MACR #9900 and http://aad.archives.gov/). Dan Marley was his Instructor at Douglas. He went to Cochran, Ga for Basic and graduated at Napier Field, AL. S/N: O-830518. He went to the Millville AAFd Replacement Training Unit. Then he flew P-47’s for 24 missions in Europe while assigned to the 373rd Fighter Gp. See Squadron 5 photo above. He is probably the one with the arrow pointing to him. He became a navigator, S/N: T-133959, in the 384th Bomb Group 549th Bomb Sqdn. He graduated from Advanced at Columbus, Miss. F.O. T62934. He was a B-24 pilot with the 44th Bomb Group and completed 30 missions with the 15th Air Force. He also flew B-24’s on OSS support and Pathfinder missions. Bob graduated from Napier, AL. S/N: O-830525. He served as a flight engineer with the 9th Bomb Group in a B-29 bomber unit based on Tinian Island in the Pacific. He became a chemistry professor at Lowell Textile Institute. He was in the 15th AF in Italy and flew B-24’s. Award: Air Medal. 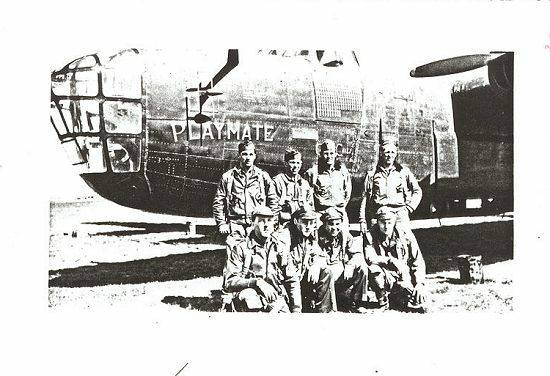 He became a bombardier, S/N: O-782889, with the 446th Bomb Group 706th Bomb Sqdn. On Dec. 27, 1944 he was bombardier in a B-24J (S/N: 42-51312) on a mission to Kaiserslauten, Germany. Over the target the plane was hit by flak, and fire broke out in the bomb bay and in the wing between no.s 1 and 2 engines. He was ordered to bail out. He became a P.O.W. in Luft Stalag 1 (MACR #11252). He was in North 3 – Barracks 9 (Block 309) Room 6 at the prison camp. 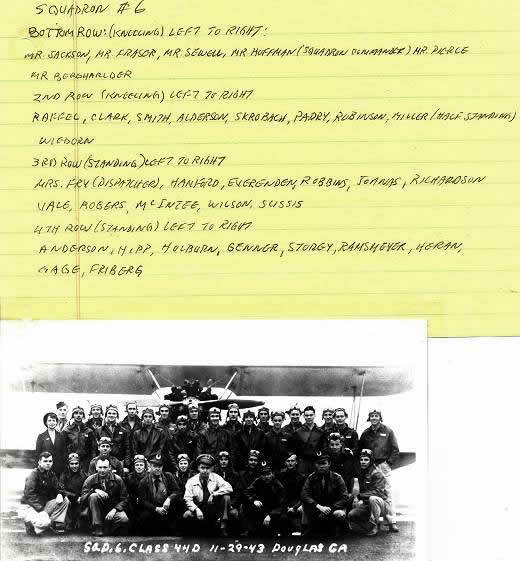 He also appears in Fred Parker’s crew list of those shot down in the 1950s in Korea. Graduated from Columbus, MS. S/N: O-829290. He was in the 448th Bomb Group 714th Bomb Sqdn flying missions in B-17s from England with the Eighth Air Force. Graduated from Columbus, MS. S/N: O-829295. He was in the 493rd Bomb Group 860th Bomb Sqdn. He graduated from Napier Field, AL. S/N: O-830534. Was assigned to the Basic school at Cochran Field, Ga. He graduated from Napier Field, AL. S/N: O-830535. He was assigned to the 429th Training Sqdn. for P-40 and gunnery schooling. He was in the 364th Fighter Group, 6th A.F. in England. He had to bail out on one flight. He graduated with the Class of 44F from Columbus Field, MS. Flight officer S/N: T-063316. He was in the 492nd Bomb Group 406th Night Leaflet Sqdn. Click here for crew info. He was in the 324th Fighter Group 314th Fighter Sqdn and flew P-47s in France. On 10 Apr 1945, he was in a P-47D (S/N: 44-19611) in a belly landing that did a lot of damage. He survived but was killed in a crash of a single-engine plane that fell apart in mid-air in Sandusky County, OH on Aug. 1, 1965. Died Aug. 1, 1965, age 44. He graduated from Napier Field, AL. S/N: O-830538. He was assigned to the 429th Training Sqdn. for P-40 and gunnery schooling. He retired disabled as 2LT on 08-17-44. He graduated from Columbus, MS. S/N: O-829298. He was in the European-African-Mediterranean theater. He was in the 384th Bomb Group 544th Bomb Sqdn flying missions in B-17s from England with the Eighth Air Force. 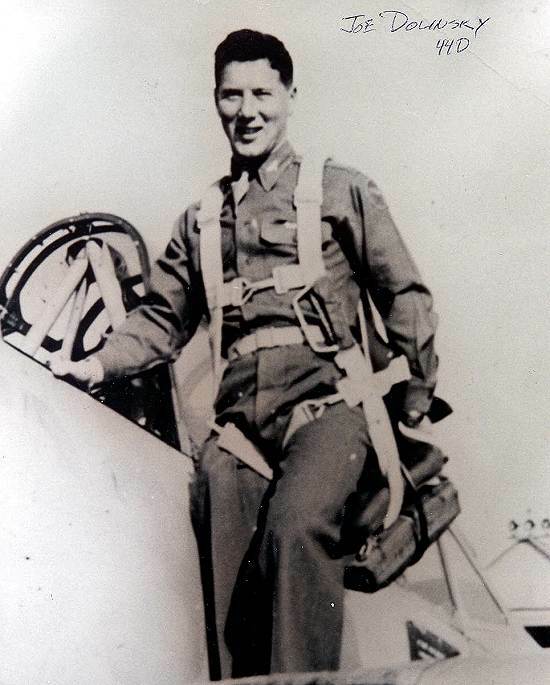 As a captain he led 21 B-17 bombing missions (per obituary). Of Indiana, later in Oregon. He had basic at Macon, Ga and graduated from Columbus, MS. S/N: O-829299. Later he was with the 8th A.F., 93rd Bomb Grp., flying B-24’s. He had 35 missions from England. 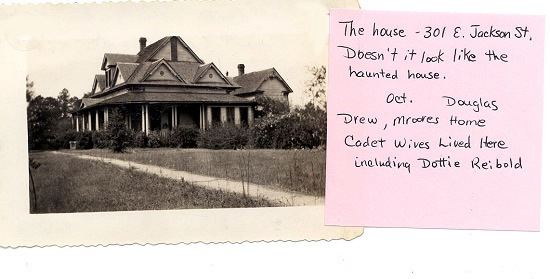 1st Lt.
A picture of the Moore house that had rooms rented to cadet wives, including Dottie Reibold. He graduated from Napier Field, AL. S/N: O-830540. He was assigned to the 429th Training Sqdn. for P-40 and gunnery schooling. He was later in the 364th Fighter Group 384th Fighter Sqdn when he was killed in a flying accident on Dec. 4, 1944 in England. He was in the 034th Bomb Group 018th Bomb Sqdn when on Jan. 17, 1945 he was killed in a flying accident in England. Seymour, Indiana, in the class of 44-E. He then was at Tyndall Field Gunnery School and then a B-17 pilot with the 97th Bomb Group 347th Bomb Squadron flying his missions with the 15th Air Force from Amendola, Italy. Click here for a picture of Kenneth G. Robinson from the Tyndall Field yearbook. S/N: O-828534. He was in the 492nd Bomb Group 857th Bomb Sqdn and then the 8AF 001st Scouting Force. On April 10, 1945 on a mission to Oranienburg, Germany to accompany B-17s, he was flying a P-51D (S/N: 44-63748). They were attacked by two Me-262s. It was unclear whether he was hit but he had engine failure. He became a P.O.W. (MACR #13758). He became a navigator, per Selman Field During WWII, Turner Publishing. He was in the 486th Bomb Group 834th Bomb Sqdn flying his missions from England with the Eighth Air Force. He flew 37 missions over Germany, as both the navigator and medic of a B-17 flight crew. For more information, click here. Born May 1, 1921 in Hartford, Connecticut. Died October 8, 2016. He married Genevieve Smolak in June 1945. Retired from the Air Force in 1969 with the rank of Lieutenant Colonel. He was in the 96th Bomb Group 338th Bomb Sqdn, from the book Snetterton Falcons. Graduated Napier Fld, AL. Instructed until end of war. In 1952 he was a major and instructor at Tyndall Controller School. Born: Mar. 27, 1917, Litchfield, CT. He received his wings and Commission at Columbus, MS. 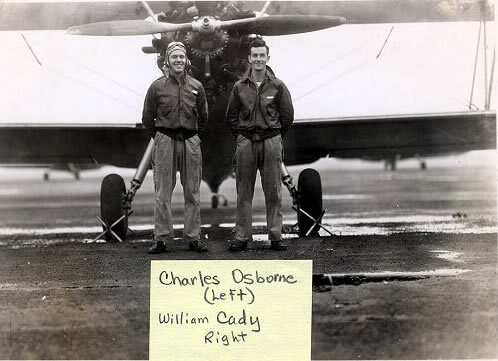 He became a B-24 Pilot with the 15th Air Force. He was shot down on his 4th mission and seriously injured. He did not fly any more missions. Snow’ White was his Instructor at Douglas. He had Advanced at Napier Field, AL and graduated. S/N: O-830540. He was assigned to the 429th framing Sqdn. for transition to P-40’s and gunnery. He served with the 373rd Fighter Group 411th Fighter Squadron flying with the Ninth Air Force. He was shot down over Germany, captured, and escaped since the unit that picked him up was in retreat. Lt. He became a navigator, S/N: T-139040. He was at the Lincoln Army Air Field Replacement Training Wing. He became a navigator on B-17s with the 452nd Bomb Group (Heavy) and saw 25 missions over Europe. He received, the Distinguished Flying Cross and the Air Medal with 3 Oak Leaf Clusters. After the war, he worked as a civilian with the U.S. Army and spent 27 years in the Air Force Reserve, retiring as a Lt. Colonel. For an interview with him click here. He graduated from Napier Fld, AL S/N: O-830853. He instructed in the USA. Then stayed in the Reserve. He also built midget racing planes, including ‘Rare Bird’ and ‘Star-dust’. He had a bad accident in a race at Niagara Falls in July 1956. In 1980 he had another accident while flying a Mustang II. S/N: O-832719. He was in the 356th Fighter Group 360th Fighter Sqdn and in the 8th AF 1st Scouting Force, which flew ahead of the bomber force in fighter planes to determine the weather conditions to and from the target. He graduated from Napier Field, AL. S/N: O-830558. 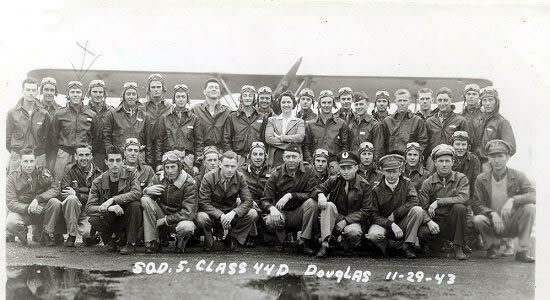 He was assigned to the 429th Training Sqdn for P-40 and gunnery schooling. He flew P-51’s in the 55th Fighter Group 77th Fighter Squadron flying with the Eighth Air Force. He graduated with the Class of 44E from Napier Field, AL. S/N: O-832721. He was in the 078th Fighter Group 084th Fighter Sqdn as found in book, Eagles of Duxford: The 78th Fighter Group in World War II, pages 96, 104, 108, 109. See also http://www.cieldegloire.com/, where he is credited with 1.5 shoot downs. He graduated as a bombardier with the Class of 44-7 at San Angelo Field, TX on May 20, 1944. He was in the 484th Bomb Group 826th Bomb Sqdn flying his missions from Torretto, Italy with the Fifteenth Air Force. S/N: O-830564. He was checked out on P-40’s. Then he became a P-47 Pilot with the 9th Air Force, 365th Fighter Group 388th Fighter Sqdn. See also http://www.cieldegloire.com/fg_365.php where he is credited with 1 shoot down. S/N: O-830732. He was at Camp Stewart (GA) AAFd Combat Crew Training Station-B. He died in a crash of a B-25J (S/N: 43-28058) on take off on July 11, 1945. Paul Schlundt was one of his Instructors. He had Basic at Cochran, Ga. and graduated from Napier Field, AL, S/N: O-830569. He survived a crash in a creek in Montgomery, Alabama in 1945 while flying out of Maxwell AFB. His fellow crew member did not. Died July 16, 1999, age 80. He graduated from Napier Field, AL. S/N: O-830571. Was assigned to Hdqts & Hdqts. Sqdn. 16th, flying Training Group (Millville AAFd Replacement Training Unit, flying P-47’s. S/N: O-830573. 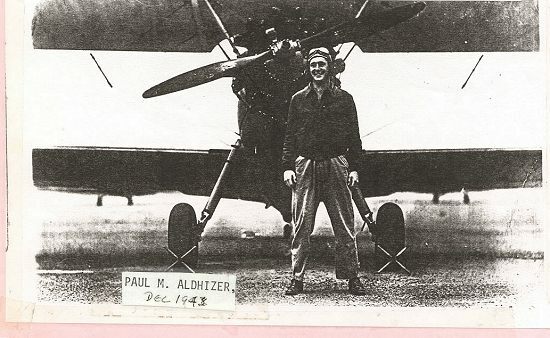 He was in the Suffolk County AAFd Combat Crew Training Station flying P-47’s. He became a navigator, S/N: O-2063498. He was in the 454th Bomb Group 739th Bomb Sqdn. On Mar. 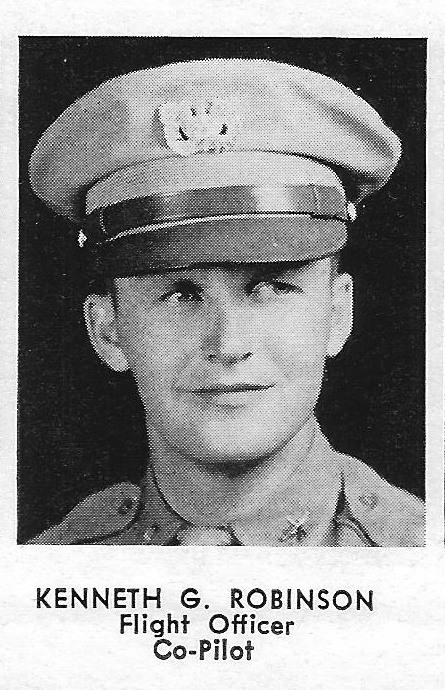 23, 1945 he was radar navigator in a B-24L (S/N: 44-49264) on a mission to St. Valentin Tank Works, Austria. The plane left formation over the target and started going down. The plane apparently landed near Dombovar, Hungary. The crew eventually made it back through Odessa, Russia or Bucharest, Rumania (MACR #13279). He received the Air Medal with oak leaf cluster. He went to Macon for Basic, and Columbus, Ms. for Advanced. Then to B-17’s. He was with the 94th Bomb Group, 8th Air Force at Bury, St. Edmunds, England. He flew 35 missions and was shot down on one of them. Later was called for active duty during the Korean War. Click here for his bio (opens as a PDF). See Squadron 6 photo above. He attended 2 years at the Pratt Institute before enlisting in the Army. After Douglas he chose to go into navigator training at San Marcos, TX. He went to crew training on B-24’s at Walla Walla, WA., and the crew became part of the 5th Bomb Group, 72nd Bomb Squadron, 13th A.F. in the Pacific. His service record includes East Indies, New Guinea, Southern Philippines, Luzon, China Offensive, and Air Combat-Borneo. He earned the Air Medal, the American Campaign Medal, Asiatic Pacific Medal, Philippine Liberation Medal with Bronze Star, and WWII Victory Medal. After the War he was a construction foreman in NYC, with jobs of the General Motors building at the 1964 World’s Fair, the Met Life Building, and the new Madison Square Garden. Born Oct. 16, 1921 as the son of Russian immigrants in New York City. S/N: O-831622. Appointed as officer 12-20-42, trained in grade. He was in the 330th Bomb Group (in the U.S.). On Oct. 24, 1944 he was killed in a flying accident in a B-17F (S/N: 42-5267) in Kansas. He became a bombardier, from the book Bombardiers. He graduated as a bombardier with the Class of 44-7 at San Angelo Field, TX on May 20, 1944. He was in the 454th Bomb Group 739th Bomb Sqdn flying his missions from San Giovanni, Italy with the Fifteenth Air Force. S/N: O-930549. He was in the 485th Bomb Group 828th Bomb Sqdn. On Mar. 2, 1945 he was co-pilot in a B-24J (S/N: 44-40438) with a crew of 11 on a mission to Linz, Austria. His plane left the formation due to engine trouble. The plane did not make it back to base and he became a P.O.W. (MACR #12710). S/N: T-63334. He was in the 2nd AF detached to the Air Transport Command, while on its way to serve in European Theater. On Nov. 2, 1944, he was co-pilot on a B-24L (S/N: 44-49399) on a transient flight from Labrador to Iceland. Sudden icing conditions developed while they were enroute, and the plane crashed in an unknown location. Vizzini was killed (MACR #9460). Click here for his memorial. S/N: 12098036. Died in a night flying accident, flying a BT-15 (S/N: #41-9987) while stationed at the 321 Basic Flying Training School at Cochran Field, Macon on Jan. 12, 1944. He was in the 13th A.F., 42nd Bomb Group, 75th Bomb Squadron, known as The Crusaders, in the Pacific Theatre where he completed 44 missions flying B-25s. S/N: O-829351. He was in the 99th Bomb Group 347th Bomb Sqdn, based on from the roll of his unit in the book The Diamondbacks: The History of the 99th Bomb Group (H). Award: Air Medal. He graduated Columbus AAFd, S/N: O-829355. He was in the 301st Bomb Group 353rd Bomb Sqdn. Award: Air Medal with oak leaf cluster. He was a navigator in the 487th Bomb Group 839th Bomb Sqdn in B-17s. Click here for his picture. Died Dec. 6, 2010, age 86. Ben Epps was his instructor at Douglas. He graduated from the Columbus, Ms. A.F.B. (S/N: O-829360) and became a B-17 pilot. He was stationed in England in the 452nd Bomb Group (H), 731st Bomb Sqdn. On Jan. 17, 1945, his plane (B-17G, S/N: 42-102590) was shot down on his 1st mission, while he was being checked out by, and flying co-pilot for, an experienced crew flying their last mission. The target was Hamburg, Germany. Over the target their plane was damaged by flak such that they could not make it back to Allied territory. They made it to Sweden where they spent the last four months of the war (MACR #11728). He stayed in the Reserves and retired as a Colonel. S/N: O-829367. He was in the 460th Bomb Group 762nd Bomb Sqdn. Award: Air Medal.